So, I took the famous novelist’s advice and started my first hardboiled novel in exactly that manner. The novel was Rat City, and it began my career as a published author. Other books followed, nine thus far, with the tenth and eleventh presently in the works. But one of the most important things I have learned, is that no matter how many books I’ve published, I can still occasionally stumble and bumble and make my share of mistakes during the writing process. Which brings me to – “Thank God for editors!” – and I’ve been blessed with more than a few of them over the years. A Seattle native, Curt Colbert is history buff, an avid fisherman, and a Vietnam veteran who lives with his wife, Stephanie, and his somewhat wild cat, Miss Kitty. He enjoys the occasional cigar and is a boxing fan. Curt is a member of the Mystery Writers of America, EPIC Group Writers, and Sisters in Crime. He has written three novels in the hardboiled Jake Rossiter & Miss Jenkins series – Rat City, nominated for a Shamus Award for Best First P.I. novel of 2001; Sayonaraville; and Queer Street. These were originally published by UglyTown Press. (A Japanese translation of Rat City was published by Tokyo Sogensha.) These novels are all raw, non-PC books that reveal historical Seattle in the late 1940’s – they show prejudice like it was – to do otherwise would be revisionist history. The fourth book in the Rossiter series, Nowhere Town, is currently being written. Curt was a judge for the Edgar Awards in 2008, and is also the editor of Seattle Noir, published by Akashic Books, an anthology of dark short stories set in various neighborhoods of Seattle. 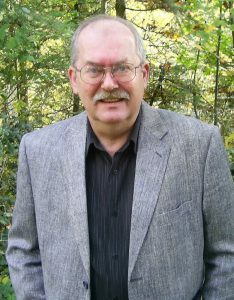 In addition, Curt has written five humorous mystery novels in the Barking Detective series under the pen-name Waverly Curtis, with his co-author, Waverly Fitzgerald. They are: Dial C for Chihuahua, Chihuahua Confidential, The Big Chihuahua, The Chihuahua Always Sniffs Twice, and The Silence of the Chihuahuas. Waverly Curtis also wrote the Christmas short story, A Chihuahua in Every Stocking. All were published by Kensington. Now, back to the fine editors I’ve had who helped me so much. Starting out as a novelist, I couldn’t ask for better editors than I had with my original publisher, UglyTown – the immensely talented duo of Jim Pascoe and Tom Fassbender, who also owned the publishing house. Next, Johnny Temple and Johanna Ingalls, of Akashic Press, who guided me on my first job as editor of an anthology. Kudos to Michaela Hamilton, at Kensington, who nurtured the Waverly Curtis Barking Detective series for several years. And last, but not least, my great friend and co-author, Waverly Fitzgerald, who is not only a talented author, but a fabulous teacher and editor. I’m also pleased to announce that I’ve recently signed a contract with Epicenter/Coffeetown Press to publish my Vietnam Mystery/Thriller, All Along the Watchtower, which will be released in the summer of 2019. Writing is, and always should be, a continued learning process. I’m happily still learning!